Sunday September 23 is the date for this year’s West Hill Grinder, organized by the West Hill Shop in Putney. Three different gravel-road biking loops will offer a variety of rural challenges for intermediate and advanced cyclists. 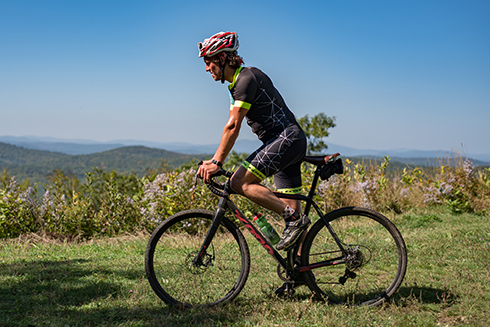 Routes ranging from 19-39 miles will wind through scenic Westminster, Dummerston, Brookline, and Putney on town dirt roads, Class-4 woods roads, and Windmill Hill Pinnacle Association hiking trails, with a bit of pavement here and there. The “West-West” Loop is the easiest and shortest ride on packed dirt roads without technical challenges. There are bail-out points on all routes if a ride must be shortened. Both the start (at 10 or 11 AM, depending upon the route chosen) and finish will be at High Meadows Farm, 742 Westminster West Road in Putney, VT. The farm is again offering water, facilities, protected seating, and onsite parking. Individual, student, and family rates for the event include a post-ride gourmet grinder buffet catered by the Putney Coop. BYPB is suggested. Gluten-free and vegetarian options are available. 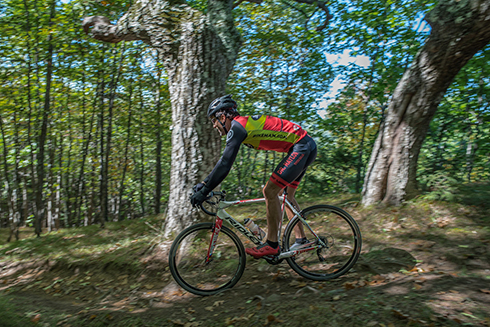 The 2018 Grinder is a fundraising thank-you from Diny and Jim Sweitzer, owners of the West Hill Shop, to the Windmill Hill Pinnacle Association for “creating and maintaining an incredible resource of trails in Putney, Westminster, Athens, Grafton, and Brookline and for renovating the cabin at the Pinnacle overlook.” The Pinnacle Association’s 25-mile trail system runs from Putney Mountain to Grafton. For information on the routes, bike recommendations, equipment requirements, prices, and food, as well as registration, visit www.bikereg.com and search for West Hill Grinder. Or go to www.westhillshop.com/about/group-rides-pg103.htm. For questions, call the West Hill Shop at 802-387-5718 or email jim@westhillshop.com. The West Hill Shop’s Facebook page will give updates on routes and announce any changes responding to weather conditions. This adventurous gravel-road ride is a great way to see really different and beautiful sections of the area while supporting an organization that helps to conserve land and make many of the area’s rural features accessible to hikers and bikers. Click here for information about other events.